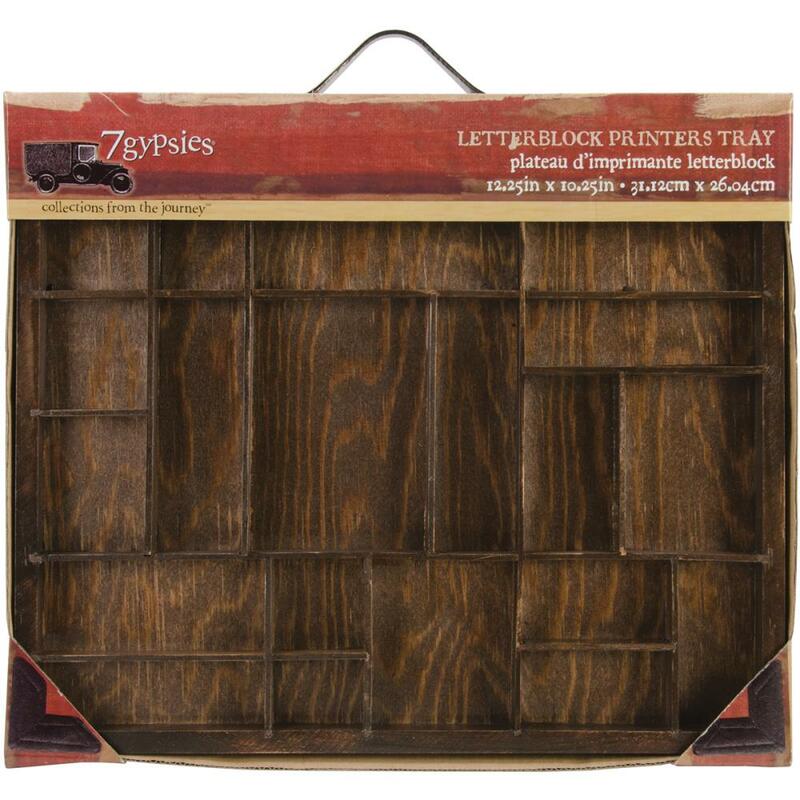 7 GYPSIES-Artist Letterblock Tray. Put your memories front and center with this clever tray that holds small mementos, artist trading cards or photos. Tray is stained brown and has a metal handle. 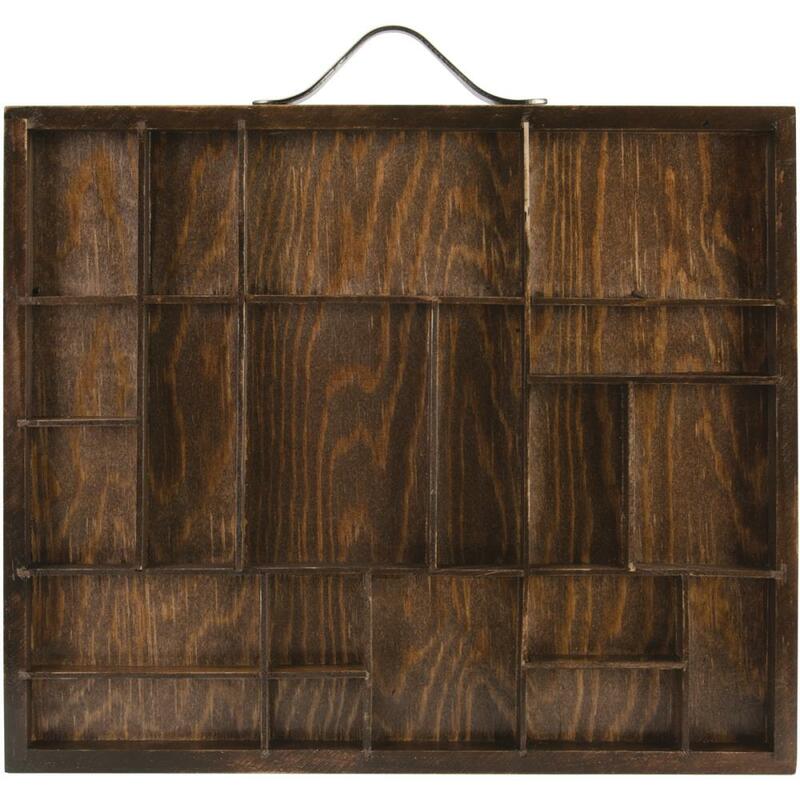 This package contains one 12-1/4x10-1/4 inch wooden tray with assorted size spots for photos and other mementos.